27 acres of vacant land w/150’ frontage on Chipmonk Rd in the Town of Carrollton (Olean), Cattaraugus County, approx 7 miles from St Bonaventure University and Allegany, NY. Acreage is a mixture of pasture, woods and wetlands w/ some timber. Property sets in a beautiful valley with lots of privacy and abundant wildlife and nature. It would make a great building lot, camp or get away. 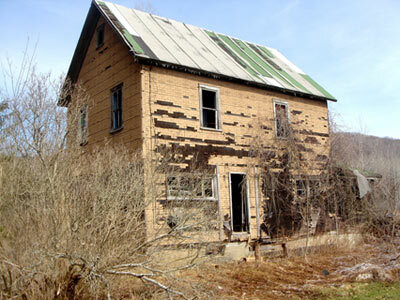 A neglected 1899, two story frame house and a 24’ x 24’ Butler pre-engineered building are included with the 27 acres. The old water well is believed to be under the house.